This book is brilliant for the first stages in understanding the impact of fear on your life. Written in a beautifully simple and colloquial style, Cheri Huber feels like she’s standing next to you explaining the complexities of your mind. The illustrations throughout the book add to the childlike manner of communication which works incredibly well when your mind is misty and dark. 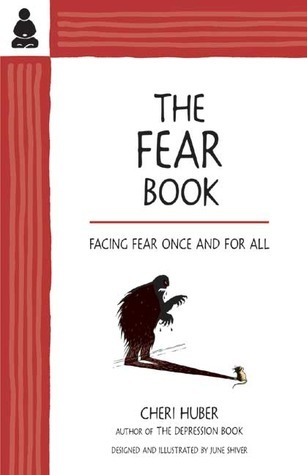 I love this book as I had no idea how fear appeared in life or how it affected my depression. I thought fear was something that meant ‘scary’ but actually it is the root of my misery. Read this to begin the journey out of your suffering and if your very disciplined it can be a fantastic guide book on how to help yourself into more positive and compassionate thinking. I wasn’t disciplined at the time and felt I needed more face to face help. For me this book simply represented the beginning of my journey into understanding myself better by becoming more self aware and I’m hugely grateful to Cheri for this. She truly empowers her readers and does so in a friendly, light-hearted manner so you can easily digest this ancient wisdom. www.livingcompassion.org – Cheri Huber is Founder and Director of Living Compassion, a non profit organisation whose aim is to raise awareness and conscious compassion community from the inside-out.